Before you bring your bundle of joy home from the hospital you’re likely to be under the influence of some fairly strong nesting instincts. After washing tiny onesies and bibs, it’s a good idea to get a jump start on baby-proofing. Though your newborn won’t need many of the new security measures for a few months, you’re also not likely to have much spare time on your hands after she arrives. 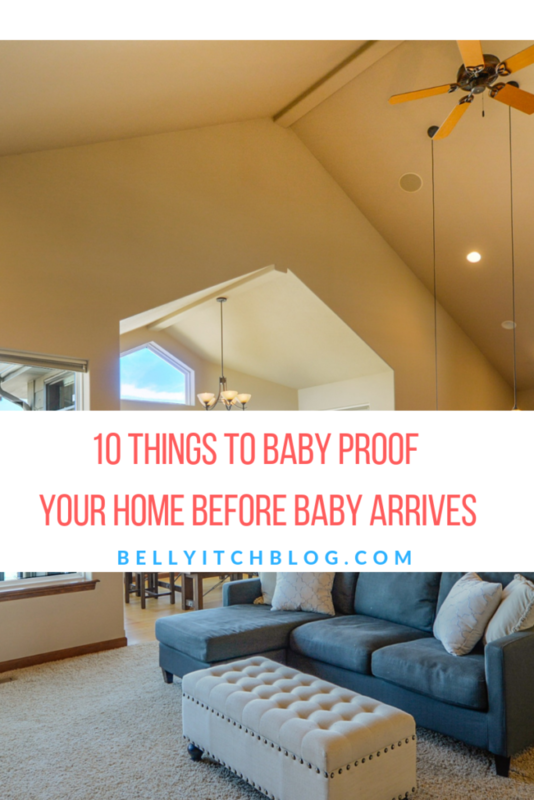 Rather than realizing a few moments after an injury that your baby’s old enough to require safety precautions around the house, here are a few steps for baby-proofing your home that you might want to consider taking early. Keep Bedding Safe – While cute, fluffy bedding can be tempting, it can actually pose a suffocation risk for newborns and infants. Make sure that there’s no more than a finger’s width between the edges of a crib mattress and the sides of the crib, that plush toys and pillows are removed from your baby’s crib while she’s in it, and that you do not use crib bumpers. They may tie a nursery together, and supposedly protect an infant’s head from knocking against the side of a crib, but they are also officially outlawed in some areas and emphatically denounced by the American Academy of Pediatrics. 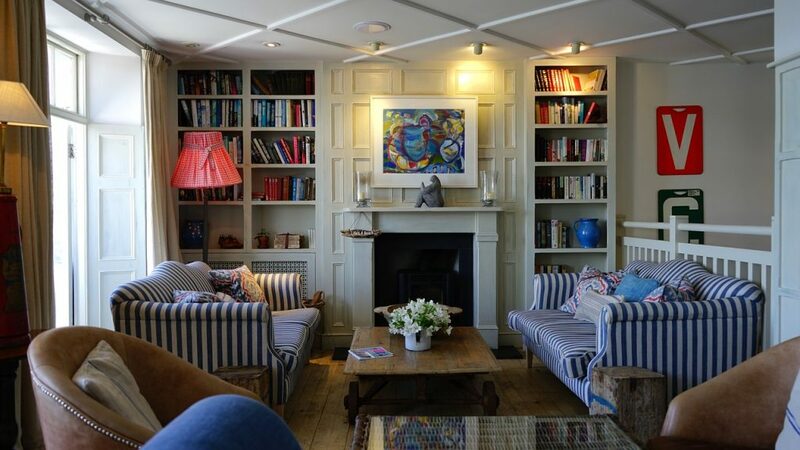 Choose the Right Furniture – The antique nursery furniture that you found or inherited might be beautiful, but it may also be unsafe. Before using it, make sure that slats in the crib are less than 2 3/8 inches apart, that changing tables have side guards of at least 2 inches high to prevent falls, and that the surfaces are not painted to eliminate the risk of lead-contaminated paint. Install Toilet Locks – Infants that can crawl will soon be able to pull themselves into an upright position by holding on to a stable surface. When that surface is a toilet, curiosity about the water inside and the unsteadiness of a standing child who can’t support their own bodies properly combine to create a risky situation. Installing locks on toilet seats can help to prevent your little one from drowning. Use a Faucet Cover – To protect your baby’s soft, delicate head during bath time, using a specially designed cover as a buffer between her sensitive skin and the cold metal of the faucet is best. Be warned, however, that these covers can slip off and are not a substitute for careful monitoring. Change the Temperature Setting on Your Water Heater – Scalds are among the most common types of burns among children seen in emergency rooms; to ensure that your baby doesn’t inadvertently sustain such an injury, turn the temperature setting on your hot water heater down to 120° or less. Move Cleaning Fluids and Chemicals to Upper Cabinets – In the average child-free home, cleaning solutions and other chemicals are kept in the lower cabinet, directly beneath the sink. Infants begin pulling themselves along and crawling sooner than some parents expect, which can lead to poisoning scares if such substances are still in reach. Moving your cleaning fluids to an upper cabinet early helps you become accustomed to the placement and reduces the likelihood of you forgetting to do so later. Be Mindful of Blind Cords and Curtain Tie-Backs – Cords used to open and close blinds, and tie-backs used for drawing back curtains are among the most common culprits in infant and toddler strangulation. There are winding and securing products on the market to help prevent these tragedies, and they should be used in all rooms of the house. Cushion Edges of Furniture – Padding sharp corners of coffee tables and other low-slung furniture, along with the sharp, hard edges of brick hearths, can protect your baby’s head and face from injury as she learns to grasp these surfaces to gain rudimentary balance skills. 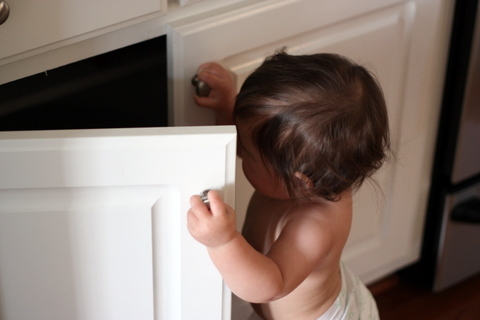 Install Cabinet Locks – In addition to moving dangerous chemicals to upper cabinets well out of a baby’s reach, parents are also encouraged to install cabinet locks to block access. Because inventive or determined babies can sometimes outsmart them, you should still make an effort not to leave your child unattended in kitchens or bathrooms. Check Carbon Monoxide and Smoke Detectors – In the hustle and bustle of preparing for Baby’s arrival, it’s easy to forget to check the batteries and functionality of your smoke detectors and carbon monoxide alarms. Be sure to test them to ensure that your growing family is protected from poisoning or fire.